SAPS have revealed that one vehicle is hijacked every 32 minutes. Hijacking remains a serious threat to South African motorists, and sophisticated syndicates have found lucrative markets for stolen vehicles. The simple fact of the matter is that if you haven’t been the victim of this type of crime already, you may quite easily become another statistic, reports Caxton Central. 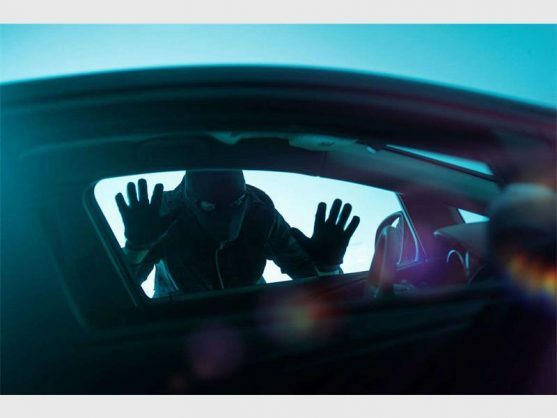 If there’s a silver lining to the dark cloud, however, it’s that hijackers are generally more interested in your vehicle than they are in you and your children. Here’s a quick reminder on how to avoid the situation, and how to minimise the chance of any injury to yourself or your kids. The overwhelming majority of hijackings occur in people’s driveways, as drivers are at their most vulnerable while waiting for their gate to open. If you have to open your gate yourself, leave the key in the ignition when you exit the vehicle, unless you’re driving with children: then the key can ensure that you have time to retrieve them unharmed. If you remember anything, remember this: co-operate. Don’t think of driving off. First you exit, then you quickly but calmly remove your kids. Hijackers would prefer that you get your kids out in order to avoid the hijacking becoming a priority crime, which draws unwanted attention. If you are alone, try to move away from the vehicle quickly. If you have more than one child, the eldest should be by the door and the youngest behind the passenger side seat. This allows the elder to cling to you while, with your right hand, you take hold of the younger child. While removing your kids, place your right foot firmly in the car to both balance yourself and to ensure that, if the vehicle moves, you will fall into it with the kids. Once the kids are out, don’t look at the hijacker, and move away from the vehicle. Unfortunately, a hijacking is a traumatic event for even the hardiest of characters, which means that some counselling with a professional is not only a good idea, but mandatory – especially for children.